Professor Sir David J C MacKay, famous for his excellent book “Sustainable Energy: Without hot air,” very kindly provided the following foreword for our COP21 edition of Climate Gamble. He passed away on 14th April 2016 and will be much missed by everyone interested in “pro-arithmetic” energy discussion. Climate change action is remarkably difficult. Every lever has technical limits and political difficulties. Bioenergy, for example, requires very large land areas, and may have environmental impacts. Eating less meat could make an enormous impact [see globalcalculator.org], but many view vegetarianism as a political non-starter. Some people object to the land area required for wind power and solar power, and the intermittency of wind and solar is a technical challenge. Making a plan that adds up and that is politically and economically credible is not easy. Anyone who suggests that one of these levers should not be used by society must recognise that this constraint inevitably makes the task of climate change action harder. I think that some people view nuclear power as untouchable because the language for describing the dangers of nuclear radiation is too black and white. When we talk about other forms of radiation, everyone understands that there is a scale ranging from harmful to harmless, and we have nuanced language to distinguish between, for example “desert sunshine” and “moonlight”, and other levels of “bright” or “dim” radiation in-between. Everyone knows that midday desert sun can be harmful if one lies in it without protection. And everyone knows that moonlight is essentially harmless. Yet moonlight is made up of just the same photons as sunshine! The reason why moonlight is harmless is that it is 400,000 times less bright than sunshine. When people talk about nuclear radiation, our language lacks analogous terms for “bright” and “dim”. Nuclear radiation is just said to be “toxic”, “harmful” or “dangerous”. Black and white. But in fact nuclear radiation can be like sunlight, and it can be like moonlight. There are levels of radiation that are lethal, and levels of radiation that are essentially harmless. 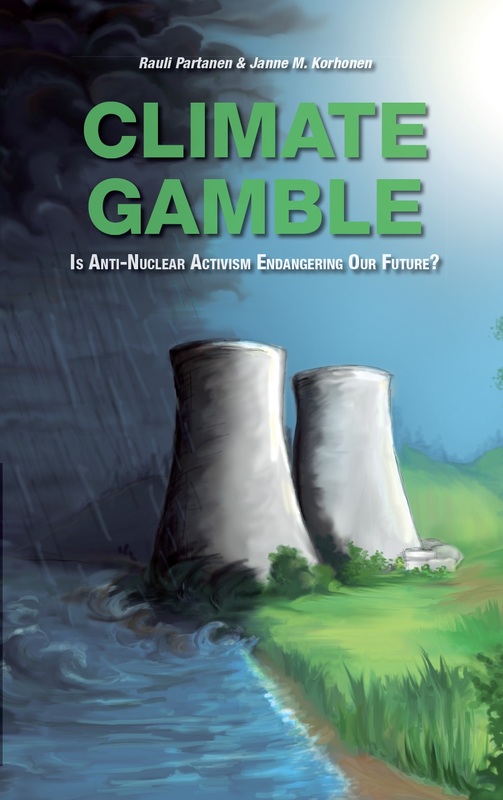 Responsible citizens should not simply rule out nuclear power from the portfolio of climate-change options without properly, quantitatively understanding the true risks. Yes, the nuclear industry has had accidents. Yes, in some countries, the nuclear industry has had a reprehensible track-record of mis-management and dishonesty. Yes, nuclear waste lasts a long time (as do many environmental pollutants). But please don’t leap to simplistic conclusions. We owe it to our children to behave like adults. Former Chief Scientific Advisor, Department of Energy and Climate Change, UK. I’ve just read the 2015 edition of the book, and I thank you for putting in the time and effort to write it. I think you make a solid case for including nuclear power on the roster of low-carbon energy sources. I’m working on a review of the book, and I will pass along the URL when that goes live — probably tonight.